Contrary to what you might think, an occult infection has nothing to do with occultism. An occult infection is a hidden infection that is first recognized by secondary manifestations. Occult Hepatitis B Infection is manifested by two main characteristics: absence of HBsAg and low viral replication. 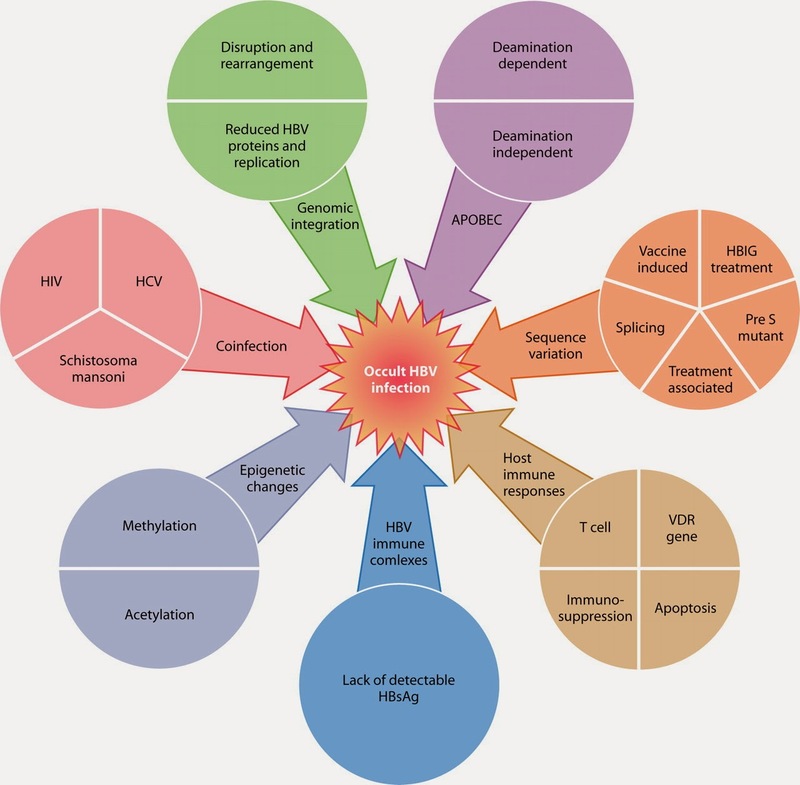 Next, a French scientist reported Occult Hepatitis B Infection in several clinical contexts including: (1) recovery from past infection indicated by the presence of hepatitis B surface antibody (anti-HBs); (2) chronic hepatitis with surface gene escape mutants that are not recognized by current assays; (3) chronic carriage without any marker of HBV infection other than HBV DNA (referred to as “seronegative”); and (4) most commonly in endemic areas, chronic carriage stage with HBsAg too low to be detected and recognized by the presence of anti-HBc as the only serological marker (referred to as “anti-HBc alone” or “isolated anti-HBc”). The critical question was in 2004 whether or not an Occult Hepatitis B Infection was infectious via blood transfusion. In normal, healthy and immunocompetent recipients, the scientist claimed, there was no evidence that anti-HBs-containing components (even at low titre) were infectious. So, that means you were safe. Unless new evidence showed otherwise. And that new evidence did not take long before it materialized: the transmission of the infection by blood transfusion or liver transplantation does occur. Moreover, much evidence suggests that it may contribute to the development of cirrhosis and may have an important role in hepatocarcinogenesis. You must understand that you simply can’t beat the Hepatitis B Viruses.